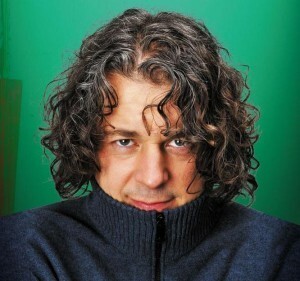 Sunday: Alan Davies (pictured) is going back to the Edinburgh Festival after an age spent acting and doing QI, and we get to see the show first at the Criterion Theatre (7.30pm, £25 - £15). Catch Daniel Simonsen previewing his show at the Leicester Square Theatre (5.30pm, £8). We're surprised to see tickets left; there's a huge buzz around him since he supported Simon Amstell recently. Monday: Two good Edinburgh previews at the Hen and Chickens from Jenny Eclair (7.30pm, £6.50) then ventriloquist Nina Conti (9.30pm, £7.50). Or you can catch Marcus Brigstocke and Matthew Crosby giving their shows a final polish at the Good Ship (8.30pm, £4 / £5). Tuesday: Bob Mills, Shazia Mirza, Nina Benjamin and Susan Murray are at Ye Olde Rose and Crown in Walthamstow to raise money for the Save Leyton Marshes campaign (8.30pm, £10). Wednesday: Richard Sandling and guests Colin Hoult, James Bachman, Steve Oram, Nathaniel Metcalfe, Jamie Glassman and Paul Gannon work out what makes the perfect movie at Leicester Square Theatre (7.30pm, £10). Thursday: The Unexpected Items are doing a run of Olympics-themed comedy at Hen and Chickens; expect sketches, songs and stand up (7.30pm, £8). Friday: Three comedy shows from the Camden Fringe: Manos K tells tales of an immigrant at the Etcetera Theatre (6pm, £7 / £5), or choose between Rosie Wilby remembering Britpop at the Gatehouse (9pm, £12 / £10) and James Mullinger withholding nothing at the Etcetera Theatre (9pm, £7.50 / £5). Saturday: Paul Sinha headlines Banana Cabaret at the Bedford, with Steve Williams, Tim Clarke and Matt Grantham (7.30pm, £16). Tip us off to friendly, intelligent, alternative comedy around town tips@londonist.com and read our guide to watching live comedy in London.